We love houseplants here at Wide Open Eats. Whether it's a succulent that looks like a rose or a pod of dolphins, if it has roots and lives in dirt, we are head over heels for it. The more unusual the better, and these living stones fit the bill. Lithops are small plants originating from South Africa. Named for their stone-appearance (lithos =stone and opsis =like), local Afrikaans have called these unusual plants beeskloutjie (cattle hoof), skaappootjie (sheep hoof) or perdeklou (horse's hoof). 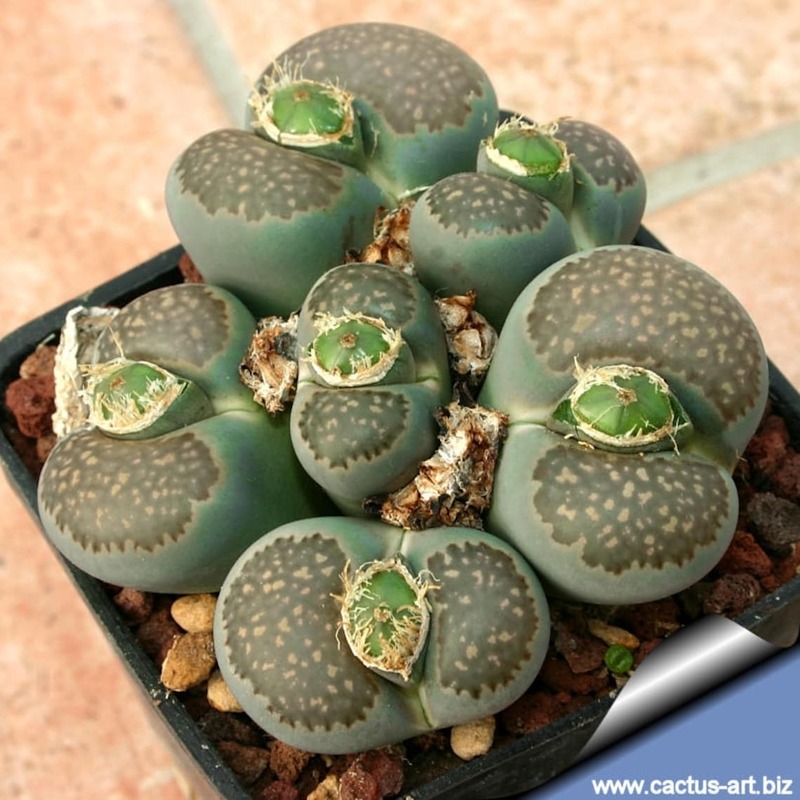 Here in America, they are commonly called living stones, split rocks or even pebble plants. 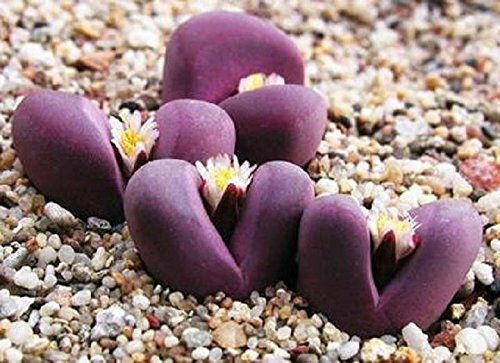 Drought-resistant, these little flowering stones are perfect houseplants because they require little water. While they can be planted outside, make sure they are not receiving too much water. Their native habitat is in the African deserts of Namibia and South Africa, so planting them outside in a rainy climate isn't the best idea. Instead, plant them indoors in small pots placed in direct sunlight to partial shade. Lithops succulents thrive in gritty potting soil. 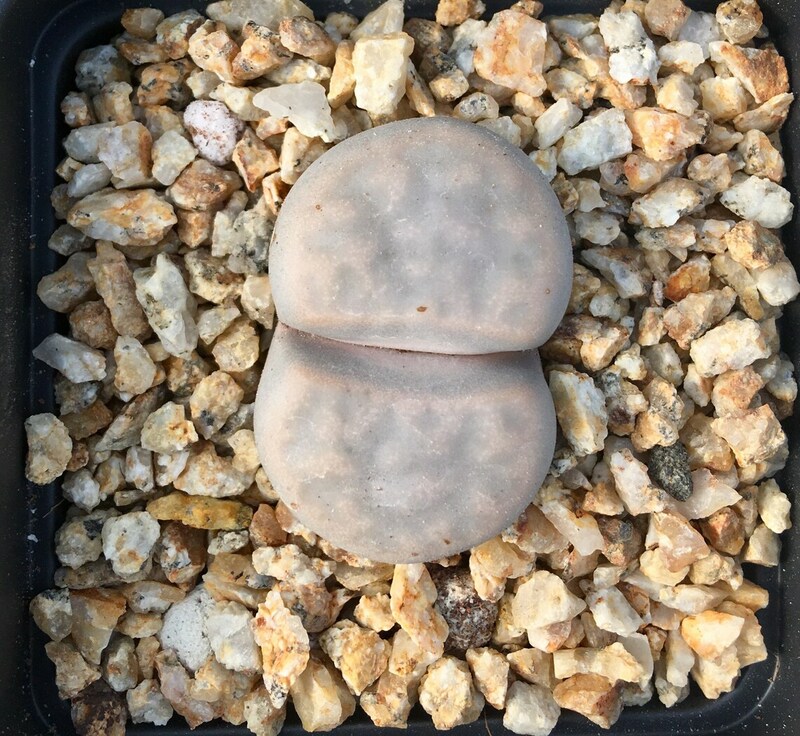 Start your garden with this Lithops variety pack. Known as the Karas Mountains living stone, this plant resembles two grey stones with brown spots. White daisy-like flowers bloom in the middle of the pair of leaves in the Autumn and early winter. Green and grey, these living stone plants produce beautiful white flowers when bloomed. Make sure the soil surface is rocky for the lithops plants, they prefer it much more than dirt! While this species tends to be rare in the wild, the ruba variety of plants is one of the most popular when cultivated. It has a bright red color that loves bright light.